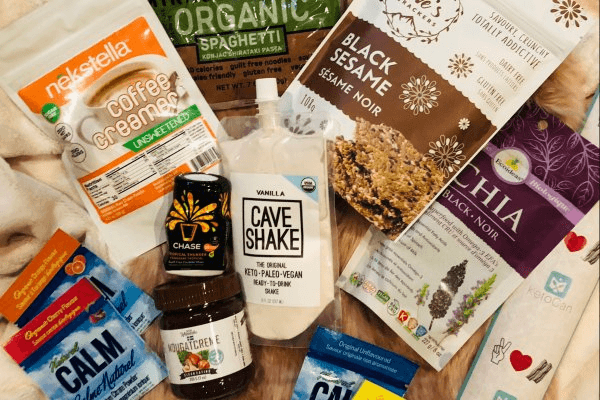 9 Keto Subscription Boxes That Make Your Diet Much Easier To Follow . While Onnit is a quality-focused company, their snack box does have some limitations. 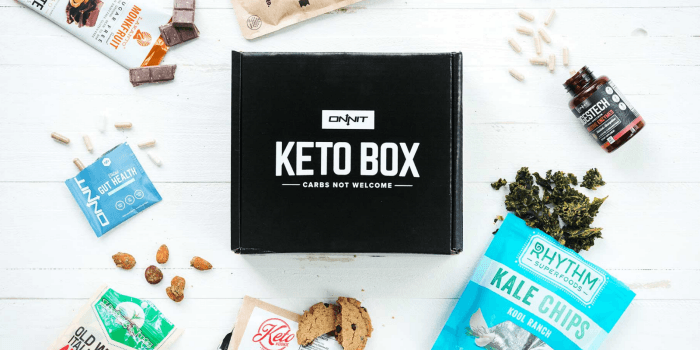 The Onnit Keto Box is a little different than most other options, as it doesn’t just contain snacks. Onnit also includes various supplements in the mix, which are mostly produced by the company. Supplements can be useful in many situations, helping to improve your health. Some may even make it easier to stay in ketosis. The box costs $55.95 each month (you save 15% if you order on subscription). This is more expensive than most other boxes. The price difference is probably due to the supplements. For some people, this approach might work perfectly. It offers a good chance to try out some of the products from Onnit, ones that you might not want to pay full price for. However, Onnit isn’t fully transparent. They don’t provide details about the net carbs per snack. They don’t even say how many snacks come in the box. While some people love the snack selection, other reviewers suggest that you’re not getting much for the price that you pay. 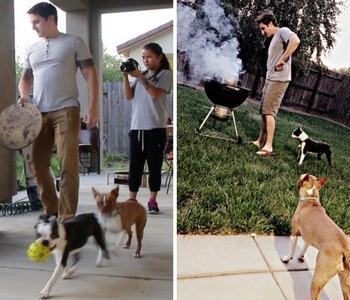 This keto service is specifically targeted at men. 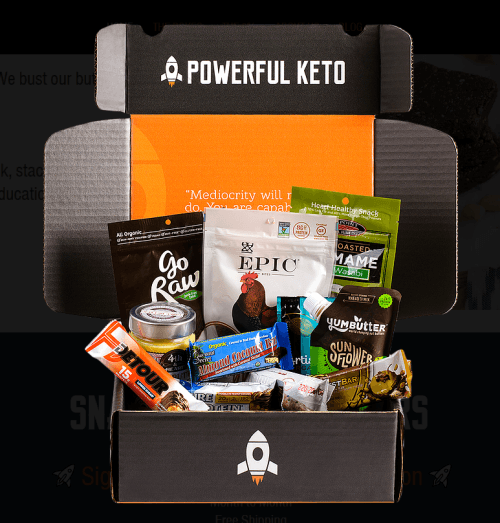 Powerful Keto is a keto box with a masculine twist. Many of the snacks are similar to what you would find from other companies – except that Powerful Keto avoids any ‘foofoo food’. It’s not entirely clear what this means in practice, but the male focus alone might be a reason to consider the subscription. You’re paying $40 each month for the box, which contains somewhere between 6 and 10 snacks. These items tend to be high in fat and protein, while still being low in carbs and sugar. You can also get a discount by pre-paying for 6 or 12 months at a time. This company is a good choice if you want less conventional keto snacks. 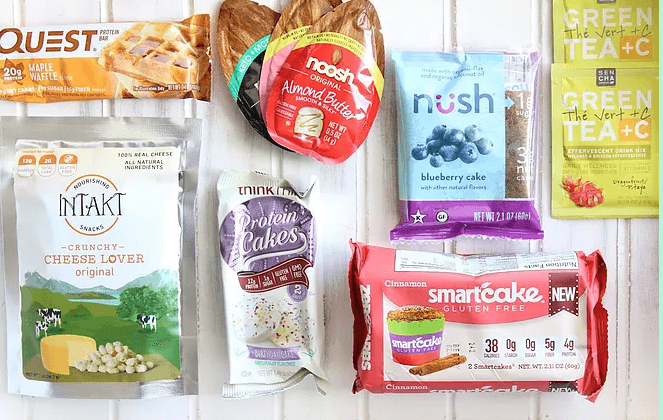 Keto boxes often contain similar snacks, simply because there aren’t that many keto producers out there. Keto Delivered is a little different. The company focuses on artisanal products, ones that are produced in small batches. This style means that you’re getting more unusual snacks, ones that you wouldn’t find elsewhere. The selection includes examples like Moon Cheese, NYC Rooftop Pepper Sauce and Empire Mayonnaise Sriracha. Each box contains between 5 and 7 different products. These tend to be full-size and the total retail volume is always $40 or more. There is a strong emphasis on ‘ultra low carb food products’. Despite this, Keto Delivered doesn’t provide details about the net carb levels they are aiming for. If you live in Canada, this is a good keto box to consider. KetoCan gets its name because the box is designed for Canadian residents (although it does ship worldwide). Subscriptions cost $46 CAD every month and they automatically renew until you cancel membership. The box is a great choice for finding new snacks, as KetoCan focuses on local and Canadian suppliers. There is also an emphasis on including new products from month-to-month. This means that you’re not getting the same snacks each time. Instead, there is plenty of variation to keep you interested. The main limitation is that the company doesn’t provide details about the carb content. This could mean that some of the snacks have more carbs than you would like. This box is suitable for many different people and situations. Sleek Treat is marketed as a low carb box, but it is keto friendly as well. The company has a strong focus on health and nutrition overall, aiming to provide natural products that don’t contain any added sugar. There are 2 main versions of the box. Their main one is the Sleek Treat Signature Monthly Subscription. It normally contains somewhere between 7 and 9 different snacks, many of which rely on natural sugar alternatives. The box costs $34.99 per month when ordering month-to-month. You can also pay a little more if you want the box to be frozen before shipping and insulated. There is also a Sleek Treat Mini. This is a much smaller subscription, just providing 3 to 5 low carb snacks. It costs $14.99 per month. The size and price make it perfect if you just want a little something each month. This is another box that doesn’t provide details about the carb content of the snacks. Not offering the information is always a slight problem. That’s even more true for companies like this, where keto isn’t their main focus. It isn’t clear whether their version of keto friendly is going to match yours. This subscription option provides you with keto desserts. Not Pie is best known for its cupcakes and Cupcake of the Month Club. Those aren’t keto-friendly, but the company does also offer a Keto Subscription Box. The healthy treats rely on a specialized sugar alternative, which takes advantage of monk fruit and D-ribose. Other ingredients are carefully chosen to ensure that the cupcakes offer health advantages and have a similar texture to regular cupcakes. Signing up for a subscription is simple – there's just one option. This is a 3-month membership, which costs $95 for the 3 months. 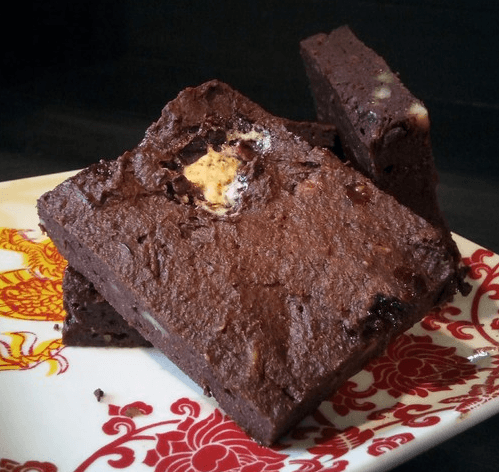 The first month of your subscription will always provide keto brownies, while the second will provide chocolate chunk cookies. The third box is a mystery, based on whatever the company dreams up that month. Just be aware that the company does talk about using cassava flour in their description. Cassava flour is relatively high in carbs and is normally avoided in keto baking. This could mean that the treats aren’t as keto-friendly as the company suggests.